1. Mercy, Clemency, Mercifulness : رحم و کرم : (noun) leniency and compassion shown toward offenders by a person or agency charged with administering justice. He threw himself on the mercy of the court. Amnesty, Free Pardon, Pardon - the formal act of liberating someone. 2. Mercy, Mercifulness : رحم دلی - شفقت : (noun) a disposition to be kind and forgiving. Compassion, Pity - the humane quality of understanding the suffering of others and wanting to do something about it. 3. Mercy : احسان - کرم : (noun) something for which to be thankful. It was a mercy we got out alive. Blessing, Boon - a desirable state. A Dissertation on the Duty of Mercy and Sin of Cruely to Brute Animals. Aggravation, Mitigation and Mercy in English Criminal Justice. Absolvitory, Exonerative, Forgiving : درگزر کرنے والا : providing absolution. "Be a forgiving woman"
Lenience, Leniency, Lenity, Mildness : شفقت : mercifulness as a consequence of being lenient or tolerant. Offender, Wrongdoer : گناہ گار : a person who transgresses moral or civil law. "Offender of the law"
Mercy Killing : تکلیف سے نجات دلانے کے لئے قتل کرنا : the act of killing someone painlessly (especially someone suffering from an incurable illness). Merciless : بے درد : having or showing no mercy. How this page explains Mercy ? It helps you understand the word Mercy with comprehensive detail, no other web page in our knowledge can explain Mercy better than this page. 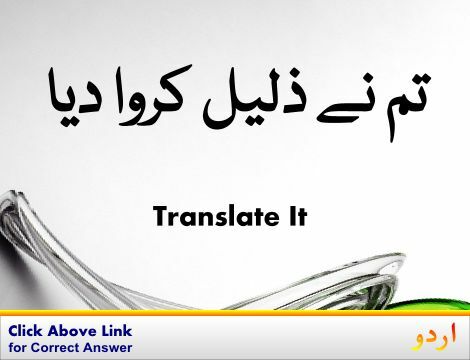 The page not only provides Urdu meaning of Mercy but also gives extensive definition in English language. The definition of Mercy is followed by practically usable example sentences which allow you to construct you own sentences based on it. You can also find multiple synonyms or similar words on the right of Mercy. All of this may seem less if you are unable to learn exact pronunciation of Mercy, so we have embedded mp3 recording of native Englishman, simply click on speaker icon and listen how English speaking people pronounce Mercy. We hope this page has helped you understand Mercy in detail, if you find any mistake on this page, please keep in mind that no human being can be perfect.